Shah Rukh Khan has a busy few months ahead of him. After Fan and Raees, he will soon work on multiple projects, with directors including Rahul Dholakia, Imtiaz Ali, Aanand L Rai, Gauri Shinde and Aditya Chopra. Though not much has been revealed about the other projects, the superstar recently confirmed that he would be seen playing the role of an ambitious little person in the Aanand L Rai film. Shah Rukh, who recently underwent a knee surgery said that essaying the role of a little person would not be easy. "Technology-wise, my VFX company is already working on Aanand's film. Aanand is also working very hard on the film. We will take some time to get things right for the film since VFX is not an easy job. I would have a problem if I had to play a dwarf on my knees and I think that would look unreal as well. So we are trying to put things together using VFX and in today's time, I want to shoot the film in a more real manner wherein I get the chance to act the way I want to". The untitled Aanand L Rai directorial is eyeing a Christmas 2017 release. And the research for the film is already underway. "We have already started the R&D for the film and Aanand has a collection of the things we need to do and the VFX team is figuring that out. If we find difficulty in doing so, we will go abroad and learn it from there," he said. He also admitted that getting the VFX right for the Aanand L Rai's next film would be a challenging task. "If we get the VFX right with Aanand L Rai's next film, I think it will be an achievement of a different order". 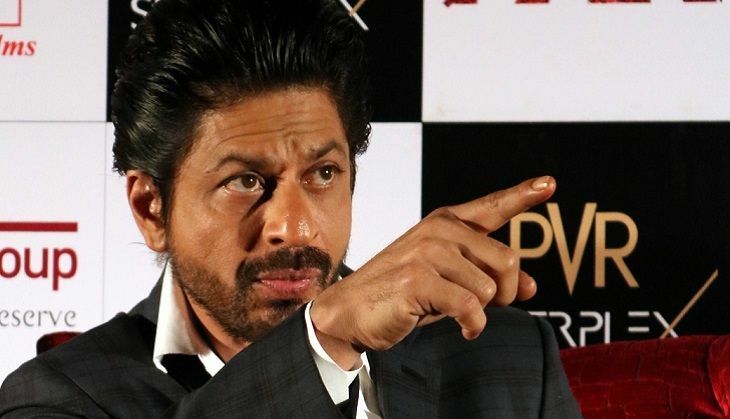 The Fan star has said that he thinks advancements in the field of visual effects would help Indian filmmakers make better cinema. "I think VFX is necessary to make good cinema and it should not just be used for action sequences. I think VFX is used to beautify the cinema and give vision to your dreams," he said. The release date for Fan was postponed by over six months, as Shah Rukh wanted the film to have better VFX - something that is evident in the manner with which he speaks about his new venture, the VFX arm of his Red Chillies production banner. "I am extremely proud to have opened my own VFX company. The prime moving force of Red Chillies VFX is excellence. We will never ever say 'India Main Yeh Chalta Hai.' We will always do work which will be appreciated across the globe. Ra One and Krrish helped us a lot". I think even Fan is a great achievement for the entire team," he said.